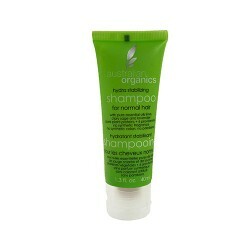 Ideal for normal hair types, this gentle ph balanced shampoo is formulated with pure plant proteins, six provitamins, organic plant extracts and pure essential oils. Stabilises moisture levels as it cleanses and nourishes the hair and scalp. Salon developed and tested to meet and exceed professional standards. A unique formulation that gives your hair exceptionally improved appearance, condition and shine. To use: Apply a small amount to wet hair. Gently massage into hair and scalp forming a soft lather. Rinse thoroughly. Aqua, Aloe Barbadensis Leaf Juice** (Aloe Vera), TEA Lauryl Sulfate (Coconut Derived), Cocamido Propyl Betaine (Coconut Derived), Cocamide DEA (Coconut Derived), PEG-7 Glyceryl Cocoate (Coconut Derived), Matricaria Recutita (Chamomile) Extract**, Articum Lappa (Burdock) Extract**, Calendula Officinalis (Calendula) Extract**, Hydrolysed Wheat Protein, Wheat Amino Acids, Alcohol, PEG-35-Castor Oil, Polysorbate 20, Aesculus Hippocastanum (Horse Chestnut) Seed Extract, Retinyl Palmitate (Vitamin A), Tocopherol (Vitamin E), Inositol (Vitamin B), Calcium Pantothenate (Vitamin B5), Linoleic Acid (Vitamin F), Biotin (Vitamin H), Citric Acid, Sodium Chloride (Sea Salt), Phenoxyethanol, Benzyl Alcohol, Salvia Sclarea (Clary Sage) Oil, Citrus Aurantifolia (Lime) Oil, Lavendula Angustofolia (Lavender) Oil, Sodium Copper Chlorophyllin (Vegetable Colour), Limonene*.